﻿ Best Price on Buena Vista Lodge in Liberia + Reviews! 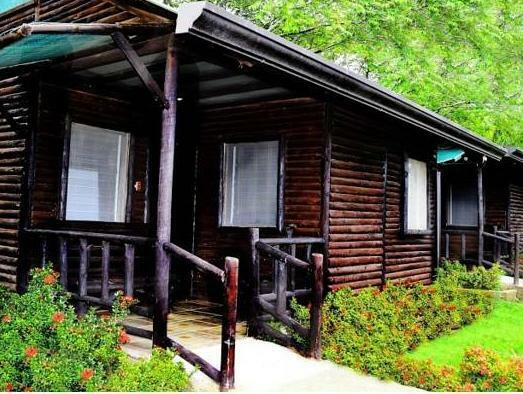 Surrounded by extensive gardens and featuring an on-site lake, wooden bungalows and eco-tourism activities, Buena Vista Lodge is set 15 minutes’ drive from Pital town center. Free Wi-Fi is available. The log bungalows feature rustic décor, wardrobe, a fan and a desk. All come with lake views and with a private bathroom including free toiletries. Buena Vista Lodge’s restaurant offers local cuisine and guests can find as well other options 30 minutes’ drive to Cañas Dulces town. Activities such as canopy tours, horseback riding and visits to hot springs can be arranged. This lodge is 1 hours’ drive from La Cruz de Guanacaste Beach and from Daniel Oduber International Airport. The only recommendation I would make is for the resort to market itself a bit better. We did not know the full extent of all their facilities and activities when we arrived. It was a wonderful 2 days. Set up on the slopes of the volcano, within its own forested area, Buena Vista lodge is a great experience for a few days. Although it also caters to outside tour groups (making it busy during the day), there are lots of things for the hotel guests to do. The forest walks are great - a network of hanging bridges allow you to get up to just below the canopy and be on a level with howler monkeys and toucans. An zipline tour through the canopy gives that extra thrill. At the end of the day, the sunset over the Pacific gives an extra buzz to a cold beer at the bar. Food at the restaurant is good and well priced. The buffet has a good range and tasted great. The staff are friendly and work hard to make your experience one to remember. No faults at all.